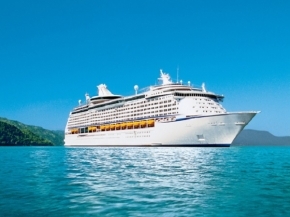 Set sail on a luxurious cruise with your loved ones and be embraced by the majestic ocean. While on board Costa Victoria, indulge in the vast amount of Italian cuisines on board. Elegant and totally refurbished, with new balconies, terraces and windows, Costa Victoria boasts an unmistakeable style that marries traditional nautical style with essential design. The chic and original environments are filled with prestigious furnishings and works of art, making this ship a refined and stylish work of art. Treat your family or friends to a great time on board Costa Victoria to an exquisite Italian experience and make this the most unforgettable holiday yet!